National Construction College, Bircham Newton, Norfolk, UK. There have been calls for the Northern Ireland Assembly to deliver clarity on the Apprenticeship Levy which is being forced on the construction industry. 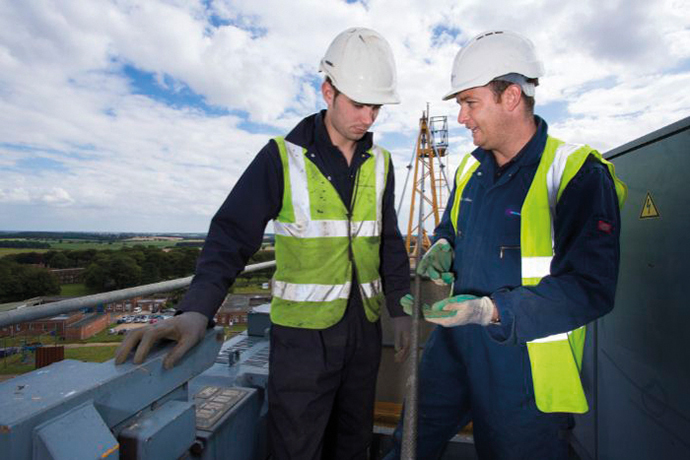 While not against a levy that supports training and skills, Barry Neilson, Chief Executive, CITB NI, said that the industry needs answers to the many questions that have been raised about this forthcoming change. From April 2017 employers with a payroll of more than £3million will be charged an apprentice levy at a rate of 0.5% of their annual pay bill. In England, plans are in place for a voucher system that would allow levy-paying employers to claim back training costs. The English system is also set to support smaller employers who take on 16-18-year-old apprentices or young care leavers. However, in Northern Ireland, it is unclear how this money raised through the Westminster levy will be distributed in the province and how it will affect areas such as funding for the further and higher education sector, and also for organisations such as CITB NI. “There is just too much confusion at present over the levy,” said Barry. “Training is a devolved matter, but this has been forced on us by Westminster so, personally, I see it as a tax-raising exercise. There are no guarantees over whether or not the money will be ring-fenced for training and how it will be distributed or utilised. Barry added that companies on the margin of the £3million threshold will be forced to make important decisions. “Do you continue to expand and pay the levy or will we see an increase in bogus self-employment as a way of getting around exceeding the threshold. If more people are going to be self-employed, then how do they gain access to training without having to pay for it themselves? Ironically, Barry is fully supportive of a levy that promotes training and skills and feels that if the Northern Ireland Executive provides clarification on the many issues raised, then it could have more industry buy-in. “I just think this system has been pushed through too quickly by politicians in England who want a quick soundbite about the number of apprentices being created,” he explained. “Even that has caused problems as they will be highlighting the number of apprenticeship starts, not completions. “It is a levy that is being collected by Westminster but without a cohesive plan as to how that is going to be spent in Northern Ireland. By calling it an apprenticeship levy, it gives the impression that it is for training but that isn’t clear. “How will it affect contractors based in Northern Ireland but working in Great Britain? Will it be collected monthly? If so, how will contractors be able to properly plan for this? Will levy-paying companies to the CITB NI have to pay, in effect, twice? “We’ve had no consultation in Northern Ireland about how the levy will work. In fact, there has been no consultation on the introduction of the levy at all. One of the most frustrating aspects of the apprenticeship levy is that it comes at a time when the construction industry is engaged with the Department for the Economy about an improved system for apprenticeships and training in Northern Ireland. “We know improvements need to be made and if this levy can play a part in that then I’m all for it,” said Barry. “We have a construction industry to be proud of in Northern Ireland but we need skills and forward planning to sustain it. My concern is that this levy will be more of a hindrance than a help.